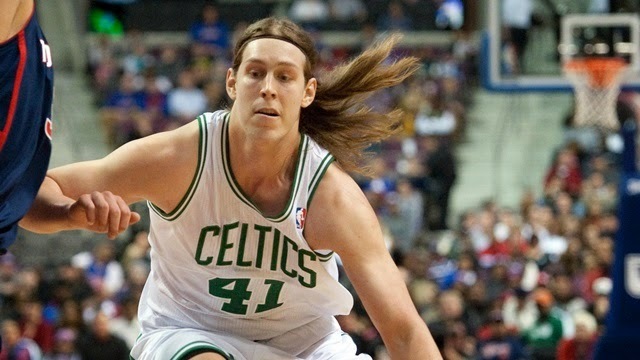 While mostly known for his beautiful hair, Kelly Olynyk has proven to not be terrible at basketball this year. Those two victories would have allowed Boston to match its longest winning streak in the Brad Stevens era. Coincidentally, it was King James and his Miami Heat that were a part of the Celtics’ four-game winning streak in early November last year. If the 2014-15 team matched the streak, all the Celtics talk would be positive: it would be about Kelly Olynyk putting up among the league’s best offensive numbers and Rajon Rondo passing Paul Pierce for the fourth-most assists in franchise history. However, Stevens’ Celtics continue to struggle to hold onto large leads. The C’s led by as many as 15 points against the Thunder and by 19 points against the Cavaliers. Boston’s previous loss before last week was on November 5, which also moved them to two games below .500. The Celtics dropped the Wednesday night contest against the Toronto Raptors after holding a 16-point lead. In fact, since trailing by 31 points in Dallas on November 3, the Celtics have had at least a 13-point lead in every contest. Did anyone see this coming? Unfortunately, their record is 2-3 since failing to complete a miraculous comeback against the Mavericks. Well, this record is not as surprising. The green’s schedule now includes one game every other day for the next seven days, starting with the Phoenix Suns ending the Celtics’ three-game homestand. After taking on the Suns, Boston will travel to Philadelphia and Memphis before returning home for another three games in a row at TD Garden. While the 76ers are the last remaining winless NBA team, the Celtics were the only squad that lost at least three games to the 76ers last season. After playing Philly, the C’s will take on three opponents with a combined record of 23-7 before hosting the San Antonio Spurs on the afternoon of November 30. After finishing last season as one of the league’s worst defensive teams in the final month and a half, the Celtics are once again in the bottom five in that category. While the team has been very fun to watch with one of the NBA’s best effective field-goal percentages, we will have to see how long this team can remain this efficient with one of the league’s lowest free-throw rates. The only team with fewer attempts from the line than the Celtics’ 18.6 per 100 possessions this season is the 3-8 New York Knicks. When looking at the 2014-15 NBA season from Boston’s perspective, how important are wins and losses in their second year without Paul Pierce, Kevin Garnett and Doc Rivers? Stevens is still developing as a coach, but he has made this Celtics ballclub into a high-paced offensive machine. A playoff appearance is not a necessity for this team in April 2015, but 35 wins, a 10-win improvement from last season, would be a step in the right direction for the franchise no matter how many lottery balls are lost.